De-Clutter & De-Stress...Decide to Organize the Mess with Family Handyman Ultimate Storage Solutions. 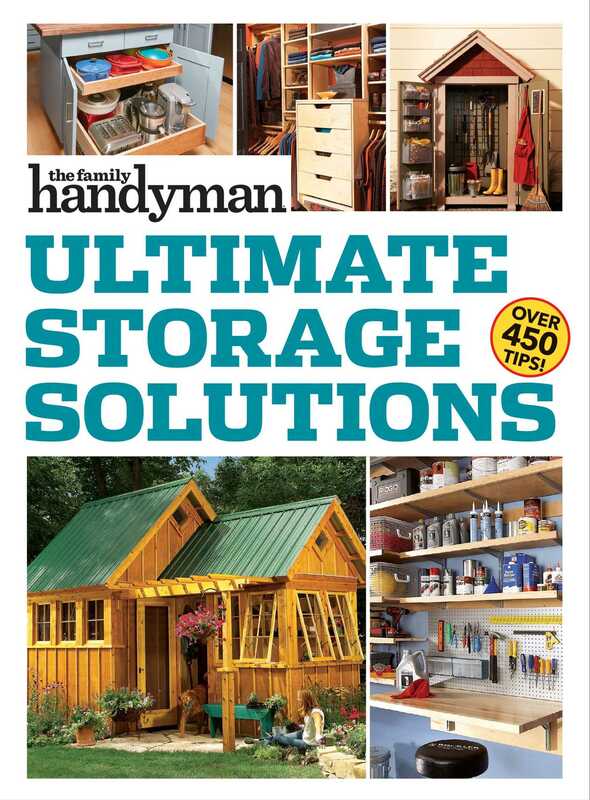 Tackle your biggest storage problems with our all-new organization book, The Family Handyman Ultimate Storage Solutions. Inside you’ll discover 450+ clever projects & tips that will help you manage the mess in one weekend or less! Learn how to customize a garage storage system. Declutter your entryway. Optimize kitchen storage. Or, build the ultimate garden shed. Designed for every level of do-it-yourselfer, we’ve included a 54-page DIY skills tutorial that shows you how to correctly use tools and complete project tasks. And a special section on Hacks and Shortcuts!